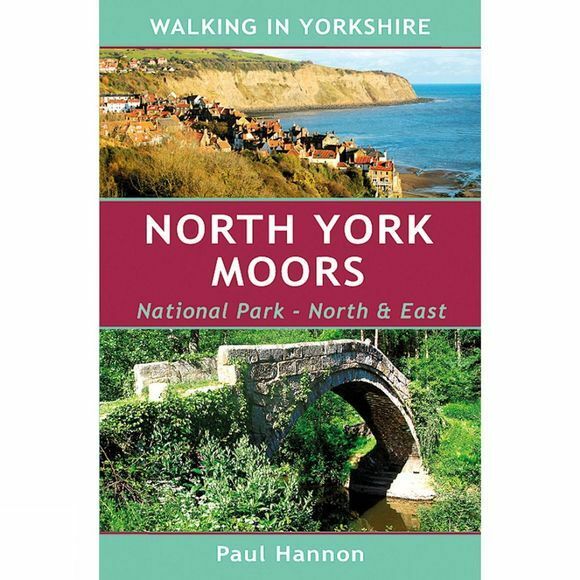 The North York Moors National Park is a walkers' paradise, and the northern and eastern half includes a spectacular coastline and the major valley of Eskdale running deep through the moors. 25 great walks, well illustrated and concisely described, lead through stunning landscapes of heather-clad moorland, rugged clifftops, colourful woodland and by the delectable River Esk. Explore the absorbing port of Whitby and the quaint fishing villages of Robin Hood's Bay, Staithes and Runswick Bay; follow in the steps of smugglers, miners, quarrymen and packhorse trains, encounter a Roman road and a magnificent steam railway. Savour the natural delights of Falling Foss, the Bride Stones, Hayburn Wyke and Goathland moors, and the ever popular Forge Valley, Roseberry Topping and the Hole of Horcum. Discover the delightful side valleys of Baysdale, Danby Dale, Glaisdale and Littlebeck, and a wealth of colourful stone-built villages such as Lealholm, Castleton, Levisham and Goathland.